My all time favourite colour to wear during the autumn/winter months has definitely got to be the burgundy, burnt read, blood red, oxblood shade of red or whatever it is that you want to call this shade. 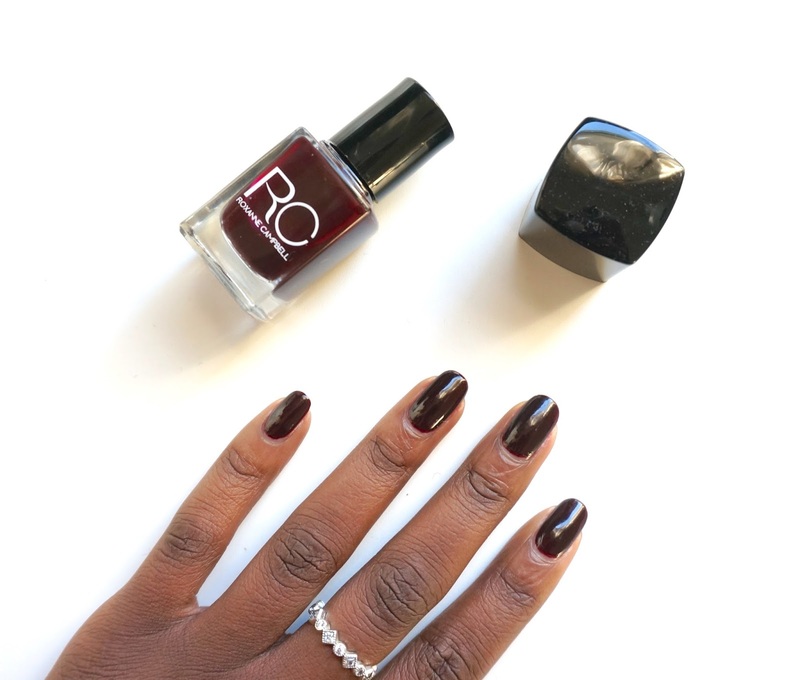 What I particularly love about this shade is the fact that its very reminiscent of a black polish upon application but the minute the sun rays bounces off your nails it's true colour shines through and is visible for all to see. Whenever I become obsessed with a nail colour, I naturally find myself grabbing a few more of the said shade but from all of my favourite brands. 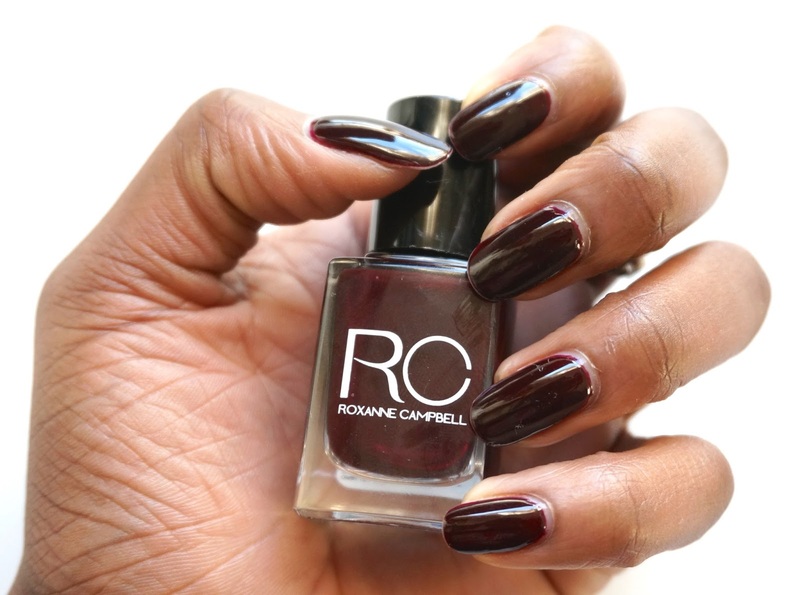 With that being said, I am always eager to try new brands like Roxanne Campbell to see how it fares in comparison to some of my old favourites and what better way to compare the quality than to try the exact same shade?! This was my first time trying out a Roxanne Campbell nail paint and I must say that I was pretty impressed with the outcome of my nails. The applicator brush may not be as wide as the likes of Nails Inc but it is wide enough to apply the polish onto your nails with ease. 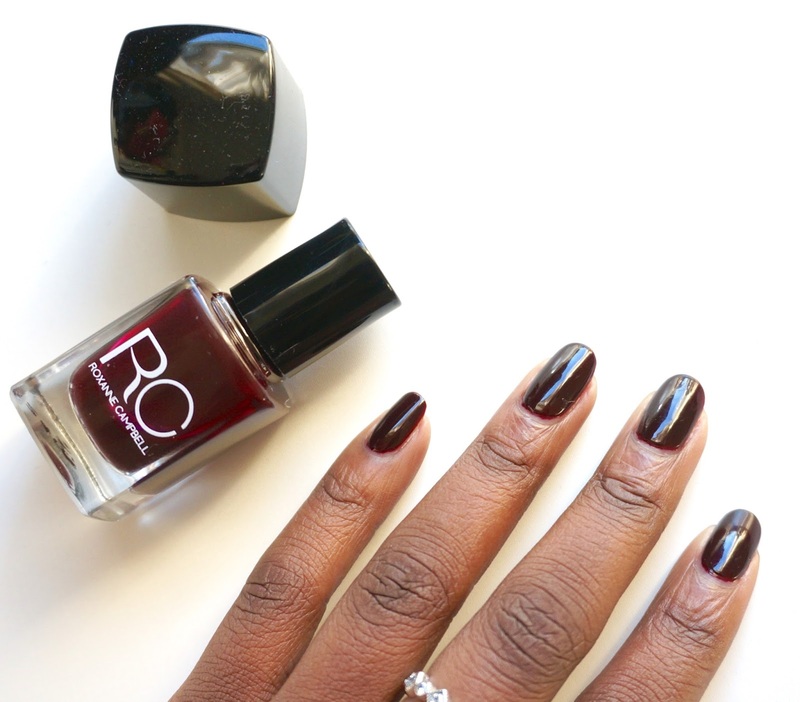 I found the Roxanne Campbell Expensive Taste polish concentration to be thick enough for my liking. You know how much I detest watery nail paint solution. I only applied two coats of Expensive Taste to achieve the finished results pictured in this post. In addition to that, the staying power on my nails (with the obligatory top coat application) was pretty good and lasted up to my usual 7 days of wear. I didn't experience any cracks or chips within that period which is always a plus because I cannot tell you how much I hate the idea of topping up a manicure just a mere few days into its wear. That to me are the signs of a poor quality nail paint and fortunately Roxanne Campbell nail paint does not fall into that category. The drying speed of the polish is pretty reasonable too, I have no complaints there. It took about near enough the same amount of time as the average nail paint to dry up. As with all my nail paint applications, I always make sure to apply a base coat onto my nails first. If you don't normally apply a base coat before applying your chosen colour then I urge you to do so when applying Expensive Taste. 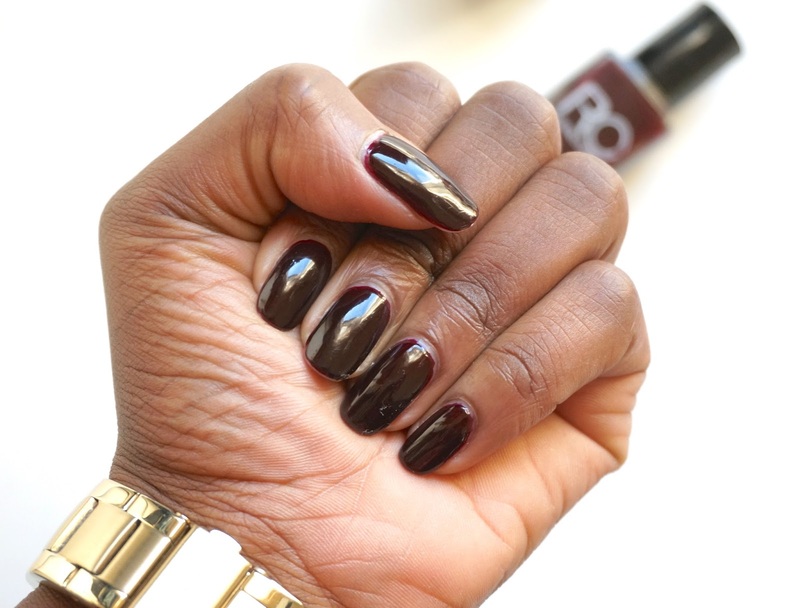 As the likes of Expensive Taste with its rich colour shade is likely to stain your nail beds. Once I have applied my base coat I then applied two coats of Expensive Taste, allowed it to touch dry before then applying a top coat to seal the deal and to also add an extra glossy finish to my manicure.